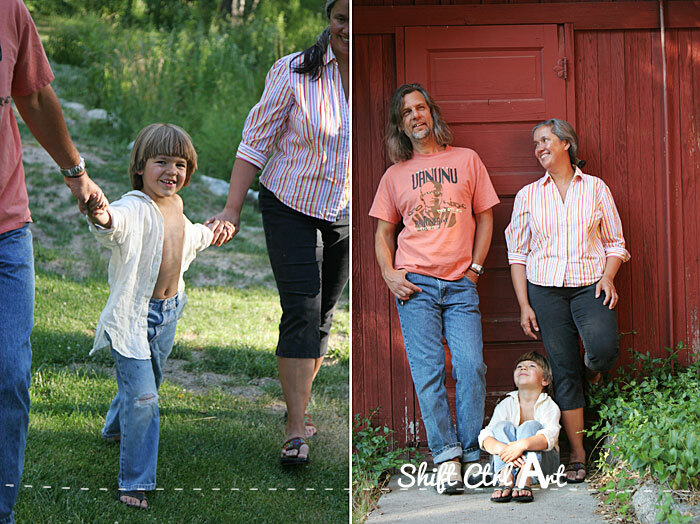 While we are in full gear building shelves in our master closet, I want to share some photos of yesteryear with you. Some friends of ours have a cabin in a very secluded area in Big Bear. It's such a lovely place and we got to visit them up there back in July 2008. It's quite a gem and there are only a handful of houses in this area. It's pretty dreamy. In the picture above is B and his friend L at around 6 years old. I watched it and it brought back so many memories of our weekend up there, and I also recognized some of the places they had filmed. I dove into my vast archive of images and found some of the same places. Here is a shot of Santa Ana river and two of the designers of the show. Here is the same bridge, but much cuter this time. I might be biased. The team made over two houses. Spoiler alert. Team red won. Here is "their" house. Here it is six years earlier as a nice backdrop for two friends running to the river to go inner tubing. And ... look into the river. Anything interesting in there? Some feet maybe? 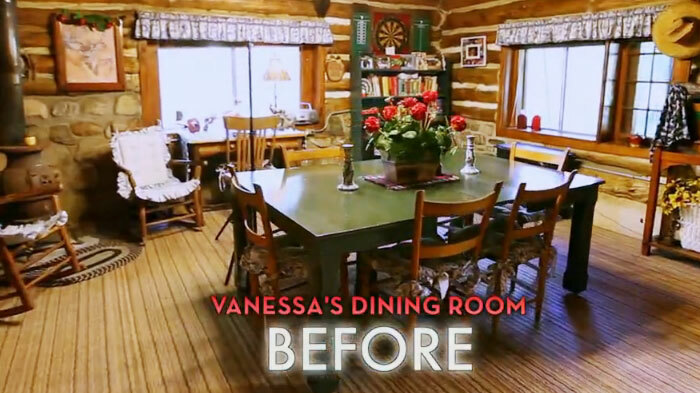 My favorite room make-over from the show was Team red's dining room make over. Here it is before. And after. What an improvement! I love how they kept it natural and rustic, yet updated. I would want to hang out here. I especially love the lights and the curtains against the logs. You can see all the make-overs here. I really hope to get to go back there some day. It's such a slice of paradise. This article: American Dreambuilders NBC - cabins in the woods first appeared on http://ahomefordesign.com.